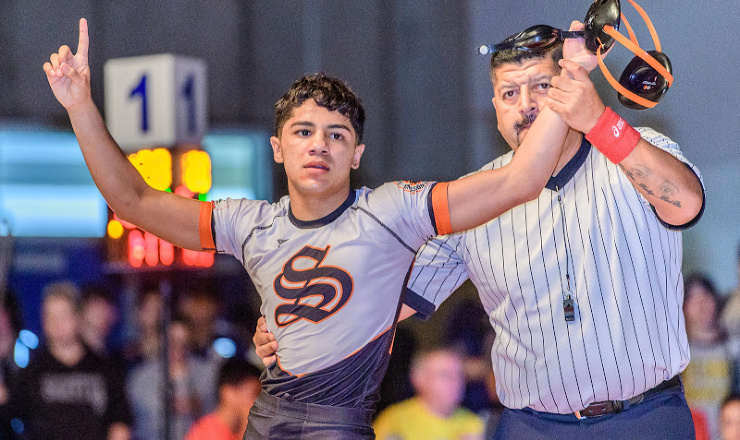 An absolutely loaded field that features the vast majority of the state finals contenders in California, plus many of the best wrestlers from the western third of the United States, along with a few excellent teams from the rest of the country will convene in Clovis (Calif.) this Friday and Saturday for the annual Doc Buchanan Invitational. While recent years have seen excellent fields assemble in Central California the first weekend of January, this year’s field is clearly the best yet. Six of the nation’s top twelve teams will be present, along with nine nationally ranked teams in total. Nationally ranked teams include No. 3 Bergen Catholic (N.J.), No. 4 Montini Catholic (Ill.), No. 8 Buchanan, No. 10 Lake Highland Prep (Fla.), No. 11 Gilroy, No. 12 St. John Bosco, No. 20 Clovis, No. 37 Selma, and No. 42 Pomona (Colo.). On the individual side of the coin, every weight with the exception of 106 pounds features at least one nationally ranked wrestler. In total the field is projected to feature 42 nationally ranked wrestlers, including a pair ranked No. 1 nationally and another pair ranked No. 2 nationally. Two weights are projected to feature six nationally ranked wrestlers. Below is a weight-by-weight overview of this robust field. Wrestlers are from California unless noted. Can Bobby Lashley Finally Break Through?